What Is The Quran, And Who Wrote It? The Qur'an, or Koran, is the premiere Islamic text based on angelic revelations to the Prophet Muhammad, and arguably the finest work ever written in Arabic. The Quran is a book of divine revelations that was disclosed to the Muslim Prophet Muhammad by the Angel Gabriel. Also referred to as the Qur'an or Koran, this is the premiere Islamic religious text, and arguably the finest to ever be penned in the Arabic language. The word Qur'an means “the recitation.” The Angel Gabriel revealed the Koran to Muhammad over a span of 23 years. The Koran proceeds after the proselytism and enlightenment given by Noah, Abraham, David, Moses, and Jesus. The Koran teaches that obedience to God is the way to paradise, and that disobedience leads to eternal damnation. There are many parallels in the Koran and the Bible in terms of the historical events they detail, though their interpretations may differ to a significant degree. The recitation of the Koran during Muslim prayer time is to be done only in Arabic. The Prophet Muhammad was believed to have been given the Koran's teachings in a cave called "Hira". This cave is located about 2 miles from Mecca in Saudi Arabia. Although Muslims visit the cave en masse, it is not considered as part of the Hajj pilgrimage route, even though it has an estimated 5,000 daily visitors during the Hajj season. Muhammad found the cave after he immigrated into Medina and has followers came with him. As the Koran was being revealed to him, Muhammad also taught it to his companions. He encouraged them to spread God's laws and, in time, the teachings were written upon palm fronds, bones, and tablets. As a result, many Muslims then had knowledge of selected Koran chapters, but not as a whole, complete revelation as it is known today. In the year 655, a group of scribes headed by Zayd ibn Thabit decided to compile all of the dispersed forms of Muhammad's teachings. Thabit and his colleagues eventually succeeded, and with the help of other scribes produced a complete, hand-written version of the oral teachings of the prophet Muhammad. The first Caliph (principal Islamic leader) Abu Bakr then kept the Koran to preserve it. After his demise, it was entrusted to the widow of Muhammad. Another version was commissioned by the third Caliph, Uthman ibn Affan, which also compiled by Zayd ibn Thabit, to finally make a standard version after he saw some slight differences in wording and pronunciations. Although present day Muslim scholars are united in thinking that the current Koran is the version that Abu Bakr had commissioned, there was an order from the third caliph to destroy the first version. However, certain sectors say that, in the year 661, the Shi'a Muslim Ali ibn Abi Talib had also collected a chronological version of the Koran shortly after Muhammad's death. However, the third caliph accepted the chronological version just the same as authentic and true. The Koran is a compilation of 114 chapters (called suras) of different lengths. These chapters are categorized into two parts, namely the Meccan and the Medinan. This was done so as to delineate the origin of each of the suras by where their respective places of revelation were, divided between those revealed before Muhammad migrated to Medina and those revealed in Medina. The recitation of the Koran takes about a week to do, so it is divided into seven equal parts (manzil) corresponding to the number of days in a week. 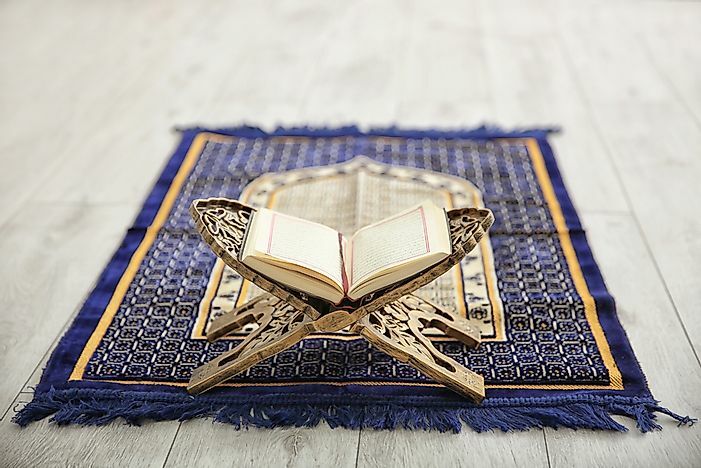 The Koran has through time been subjected to commentary and explication, and this is usually done in relation to the chapters' and their verses' deep spiritual significance to Muslims. There were some later converts who misinterpreted Koranic Arabic due to its being read and spoken in classical Arabic, of which they did not have a working knowledge. Arabic was already used by many nations in the Middle East at the time of Muhammad, but only after the Koran was completed did the Arabic language bloom from its classical to post-classical eras. The work influenced most Arabic literature to come as well, according to Wadad Kadi and Mustansir Mir, two professors and Arabic and Islamic subject matter experts in the US. The Koran was first translated into Persian in the 7th Century by Salman the Persian, although difficulty has always cropped up in translating the Koran due to the many meanings of single Arabic words. Finally, in 2010, the Koran was successfully translated into 112 languages.